It only occurs every two years—and this is the year for Photokina 2012, the world’s leading imaging fair. More than 180,000 digital photographers and other imaging enthusiasts and professionals from 165 countries will be gathering in the Exhibition Centre, Cologne-Deutz, Germany, September 18–23, 2012. They’ll be treated to a full week of amazing events and the opportunity to interact with approximately 1,250 exhibitors who’ll be showing their latest products and services. With 20 different products and services groups, Photokina 2012 is the one place to see, examine and even test equipment from the world’s best designers and manufacturers. You’d expect to see cameras, lenses and lighting, but this event also includes publishing systems, photofinishing equipment and products and systems for technical and scientific image processing. Photokina 2012 is truly a remarkable learning experience, allowing you to expand your knowledge base as well as find new digital photography interests. Many photography industry observers and bloggers have strongly predicted that full-frame DSLRs will be the stars at Photokina 2012. Although there are no confirmations from the major camera manufacturers, it’s possible that Canon will highlight the new EOS-1D X, Nikon the new 600D and Sony the Alpha 99 (or 88). No doubt, there will be last-minute surprises, so this is the Photokina show that professional photographers should attend if they are thinking of purchasing one of these new DSLRs. Much of the activity and excitement at Photokina 2012 will be during the many events scheduled throughout the week. Some of these will explore the latest trends in mobile imaging and fine art printing, for example. Shoot Movie Park is a dedicated space for video imaging and the special CGI show will feature a comprehensive display and presentations on computer-generated imaging. Epson Rea Sea will be an outdoors exhibit focused on action and underwater photography. 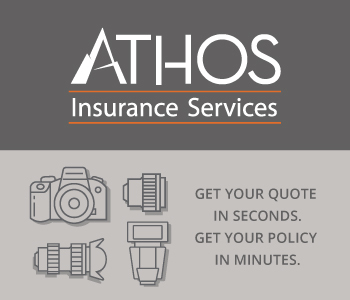 Plus, professional photographers are invited to an exclusive event just for them. As part of your planning to attend Photokina 2012, be sure to take advantage of its online “matchmaking” service. It’s an exclusive networking system for Photokina visitors, so they can establish contact with exhibitors prior to the fair. You’ll be able to ask questions about the products or services exhibitors will be highlighting and even schedule appointments with product/service representatives. Photokina 2012 is also a participatory opportunity for digital photographers. The trade fair’s Photokina Pictures is an exhibition of photography from around the world—and your photos could become part of the exhibit! For more information and an application, visit http://www.photokina.com/en/photokina/diemesse/events_veranstaltungen/photokina_pictures/index.php. Photokina 2012 organizers and many of the exhibitors are conducting photo contests in various categories and inviting Photokina visitors to submit their work and/or comment on the contest photos via social media. National Geographic is sponsoring a nature photography contest in conjunction with Photokina and the Horizons Zingst Environmental Photo Festival. You can upload three nature photos to compete for the grand prize of a Volkswagen Up, plus your photos could be exhibited at the fair. Photokina 2012 chose a grand, ancient city for its trade fair, so be sure to schedule time to visit the city of Cologne and immerse yourself and your camera in its culture. People have lived here for more than 2,000 years, but the city proudly displays the architecture and symbols of its historical high point during the Middle Ages. The Cologne Cathedral is a World Heritage Site, which is complemented by a diversity of museums, churches, public buildings and parks and gardens. Take your camera on a boat tour on the Rhine. 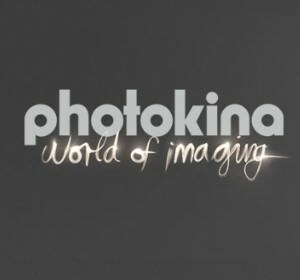 In Cologne, September is officially Photokina Month, and the trade fair will be sharing its message and the exciting imaging technologies on exhibit with the entire city. Photokina City is a special schedule of programs and workshops you can experience with local digital photographers to make this biennial event the one you must attend. To learn about all that will be happening at Photokina 2012, visit photokina.com.